Getting a large volume of traffic to your website is good, but if that traffic doesn’t convert, your effort to attract it there is pretty much useless. Conversions are the lifeblood of any digital marketing campaign, so the ultimate goal of your effort is to persuade people to do something for you – give you their e-mail, purchase your product, sign up for a newsletter, etc. 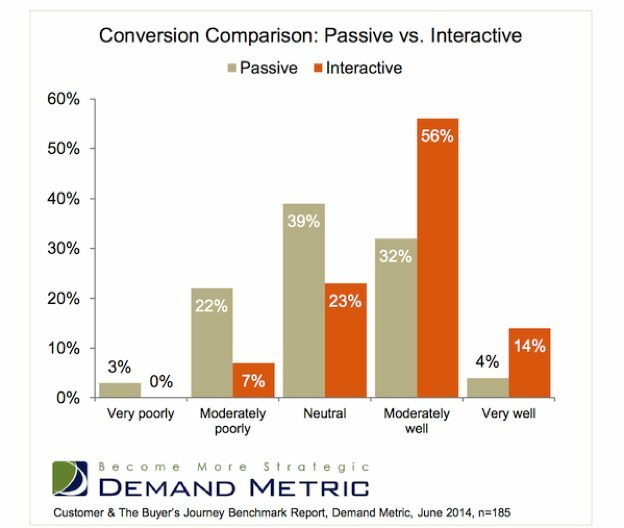 The data suggests that the average conversion rate across all devices is about 2%. Just 2%! Keep in mind that the average landing page has a 2.35% conversion rate, the top 25 percent are seeing conversion rates of 5.31% or above, and the top 10 percent conversion rates are over 11.45%. Sounds like getting high conversion rate is really hard. And it is. 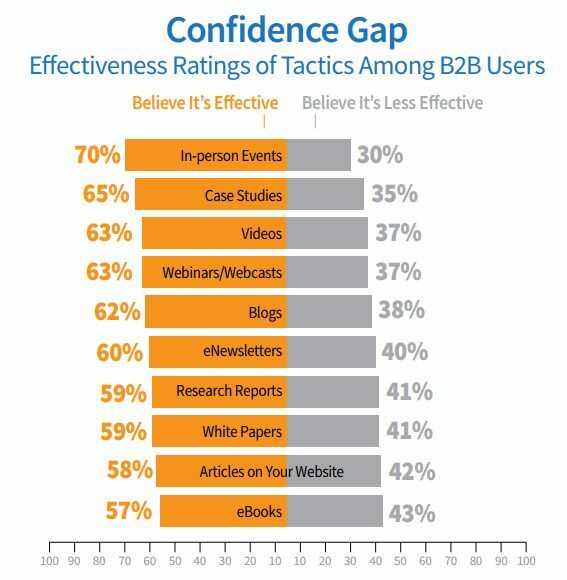 Moreover, reaching 2% is also a challenge that requires a really focused conversion optimization strategy. In this article, we’re going to review a number of strategies designed to increase conversions using customer engagement. But first, let’s talk just a bit about engagement. This is the most powerful indicator of customers’ feelings about your company. There are many methods used to measure it, including e-mail open rates, landing page views, and average time spent on a website. Clearly, many marketers today have a broader definition of customer engagement. In addition to an emotional connection to the brand, it is also a tool for raising awareness and retaining customers, which means that it became more strategic and long-term oriented. Now, let’s get to techniques for increasing your online conversion rate with customer engagement. These techniques include questionnaires and surveys, interactive content, contests, optimized website navigation, video marketing and webinars, and live chat. Let’s be honest here: most of the visitors on your website won’t place an order or complete another action that you want them to. Questionnaires and surveys can help you reduce shopping cart abandonment rate, understand the difficulties faced by the customers during purchasing, and provide other information needed to improve overall user experience. Before you create a survey or a questionnaire, you should begin with the end in mind. This means that you need to identify the goals you want to achieve with it. For example, a goal like “to better understand what my visitors want” is not a good one because a) it’s too broad, b) it’s not measurable, and c) it’s not clear. Instead, you should come up with a goal that meets these three criteria: narrowed down, measurable, and clear. For example, a goal “to decrease the bounce rate on my site by 5%” complies with these requirements. 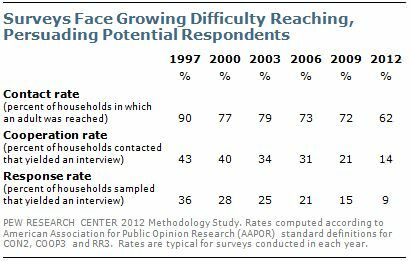 Clearly, online customers are sick and tired of traditional surveys and questionnaires that require them to dedicate a lot of time for almost nothing. Ask questions that are quick and easy to answer to prevent them from leaving halfway through. The questions should require minimum amount of effort to answer. Avoid hypothetical questions! All of them should be relevant to your target audience. Here’s a good example that combines all these tips. 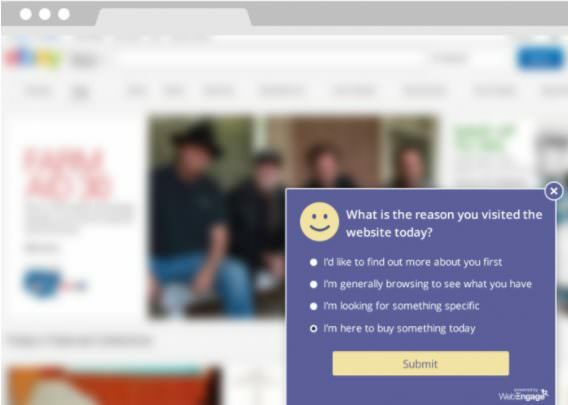 It uses a question “What is the Reason You Visited the Website Today?” It uses simple language, has a clear purpose of collecting goals of the visitors, and doesn’t ask complex questions. Calculators, polls, quizzes, multi-touch photos and videos, interactive e-books, and games are really popular among Internet users because they have an element of interactivity. Moreover, they deliver differentiated, engaging, and educational content experiences. Provide a compelling reason to use it. An interactive element should reinforce the appeal of your message, and not serve as a substitute. Match the function and the format of your interactive content. Define the most helpful features of your product or service and adjust the format of your interactive elements accordingly. Measure the impact of interactive content. 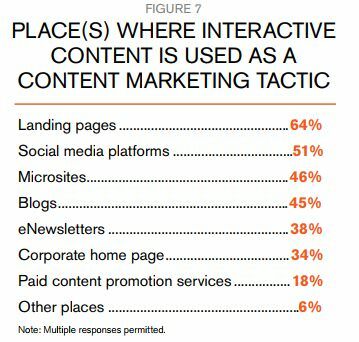 Given that you defined a specific goal for your interactive content (reduce bounce rates, increase conversion, etc. ), you need to measure your success at achieving it. Google Analytics is the one of the most widely used performance benchmarks. Let’s now consider a great example of interactive content that customers love. 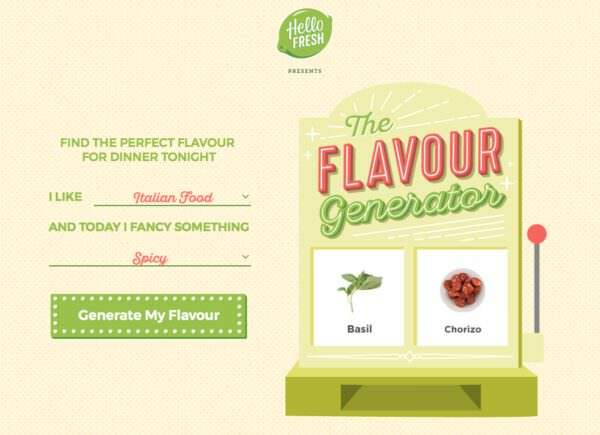 It’s called Hello Fresh Flavour Generator and it allows to choose different flavors and ingredients you are in the mood for. Available are Italian, Mexican, British, Middle Eastern, and Indian cuisines. After making the selection, the users are presented with delicious recipes. Try it yourself to see what kind of meal you can cook tonight! Contests are another great tool for increasing interest in your website. However, you should organize them properly in order to get the desired results. Define the goal beforehand. It should be measurable so that you can determine which contest worked the best. For example, photo submissions, e-mail addresses, Facebook likes, retweets, and time on site can be measured. Outline contest parameters. You should be very specific here to ensure that people participate and have a chance to win. For example, you need to identify the type of information you want the contestant to send to you. Next, your contest should have a clear time frame and a primary incentive – the prize. Also, don’t forget about the guidelines! Promote your contest. There are many ways you can achieve that, including e-mail and newsletter campaigns, banner ads, blog posts, social media announcements, forums, and press releases. 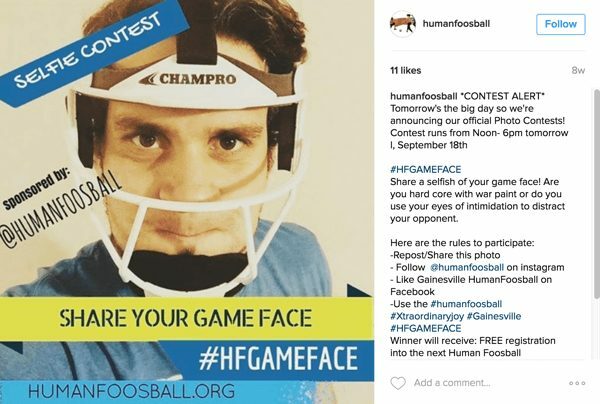 If you’d like to hold a social media contest, check out this list of top apps for social media contests presented by Brands with Fans. 88% of online shoppers are less likely to return to a site with a negative user experience. 79% of consumers who have a bad experience are less likely to buy from that website again. $1 spent by a business on improving user experience typically brings between $2 and $100 in return. $10 spent on usability can improve conversion rates by up to 83%. It’s obvious that website optimization for providing the best user experience is a must for businesses that want to increase conversions. Let’s look at ways to make your website’s navigation more user-friendly. Research keywords to identify the most popular menu items. For example, let’s say you run a business that sells gear for basketball. Your website has the following menu items: blog, products, testimonials, and contacts. Sounds about right? Wrong! Using the Keyword Planner, you can determine that you need to expand the menu to include many other items: basketballs, protective gear, backboards, inflation needles, etc. Keep design customer-focused. 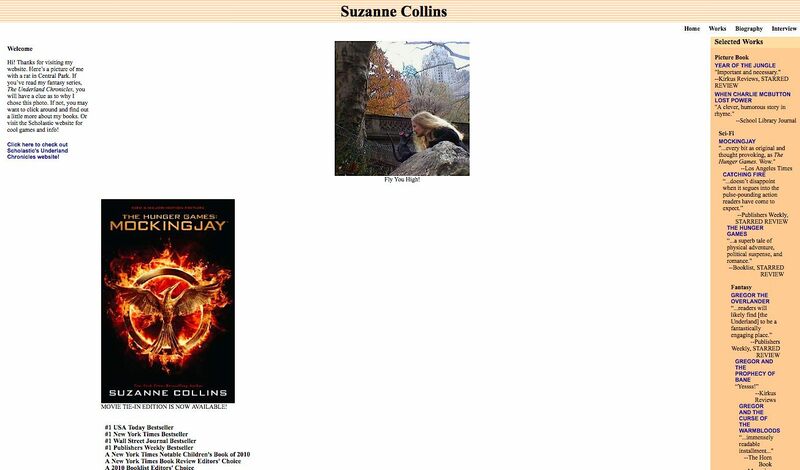 Take a look at the Suzanne Collins Books website. She is a great author, no doubt about that, but her site is one of the best examples of bad customer-focused design. What is wrong with this site? It looks like it was designed for at least 200% zoom. The images of book covers on the home page do not have links to them. The users will have to find them elsewhere. The menu at the right has links to Barnes & Noble, Amazon, and other online book stores. Anyone would expect they provide a link to Collins’ books at these stores. Bummer. Clicking on the link takes you to the Barnes & Noble home page. Use Search Autocomplete. 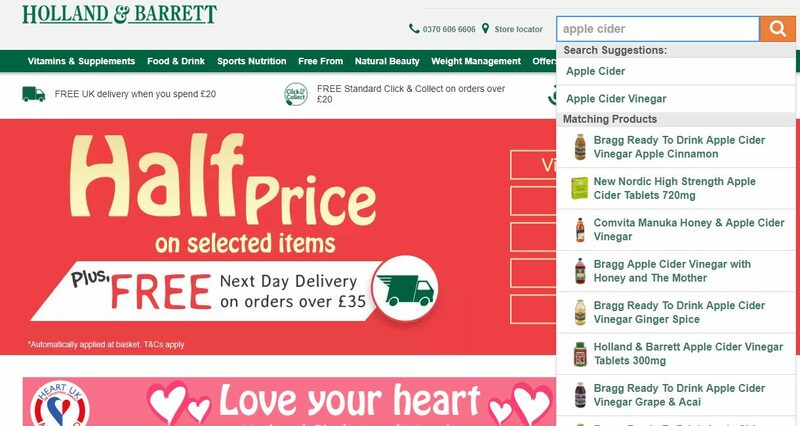 Online shoppers don’t appreciate it when the search functions on a website don’t use autocomplete. By incorporating this feature, you will make the searching experience more pleasant because the website will suggest related products. Just take a look at how it works at Holland & Barrett store. You can find the product you want, fast and easy. Invest in responsive design. Due to a recent Google algorithm change, mobile-responsive design is no longer optional. If you haven’t already done updated your site, you might be losing big in the search results. Webinars are scalable. There is no way you’re going to organize a quick conference for 200 participants, but that’s just what for webinars are for. Webinars allow a full immersion. In fact, they are the most immersive content experience. Webinars allow a high level of rapport. No other tools provide that. Webinars have high efficiency in terms of time. No one has travel to attend it. Webinars allow real-time content delivery. This allows you to move attendees down the marketing funnel more quickly. Google+ Hangouts. It allows up to 10 people on a single call, works on all devices, and has the ability to live stream straight to YouTube or a website. iLinc. Allows you to host events up to 1,000 people, send invites, and and send follow-up e-mails. Brainshark. Webinar software with rapid content creation, controlled access, and analytics. Arrange a kick-off meeting to provide the details of the future webinar. Present the following information: speakers, date, time, and topic for discussion. These materials should be readily available on the Internet. Publish an online piece announcing the webinar. Write a blog article, social media post, and send e-mails to all your subscribers. Send a reminder the day before the start. Live Chat definitely has some untapped potential for your business and has a lot of advantages that online customers certainly appreciate. For example, it’s convenient, available 24/7, reduces customer support expenses, and ultimately increases sales. Using a live chat tool just makes sense because it’s to your advantage to be able to interact with customers directly, in real time. As a result, you can build personal connections and provide excellent support. Live Chat can be a source of competitive advantage. For example, Blue Soda describe their success in using this feature. According to the company, they organized a live chat with a manager as a part of their “ridiculously good customer service” initiative. The managers were available from 8:30 – 5:00, Monday through Friday to answer any questions. The results of this initiative were amazing. Given that an average price of orders on the site is $700, there were a lot of customers asking questions about services. The managers handle over 1,500 chats a month and 60% of their calls end in a sale. Let’s now learn how to provide the same level of service and increase customer engagement. College-Paper, an essay-writing service, will be taken as an example. As you land on their homepage, the live chat icon appears in the lower right-hand corner. As you land on their homepage, the live chat icon appears in the lower, right-hand corner, and when you click on it, the pop-up window appears. Getting higher conversion rates is certainly a tricky task, but it’s not unrealistic to hit 5%, 7%, or even 10%, and leave your competitors in the 2% dust! To increase your conversion rate with online customer engagement takes a well thought out optimization strategy. By using all, several or even one of the strategies we’ve discussed here, you can expect to see higher numbers.